Security specialist Webroot and mobile data expert Cellebrite have teamed up to launch what they claim is the first anti-malware detection and removal service for mobile operators and retailers. Announced at MWC 2014, the service, which will be marketed as a product, will see Cellebrite placing Webroot's Mobile App Reputation Service and URL Classification Service under the bonnet of its diagnostics product range. 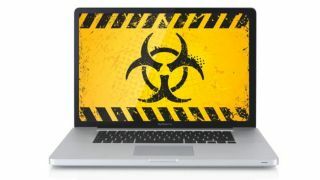 Scott Merkle, vice president of Enterprise and OEM Sales at Webroot, said that there is a demand for such a service, as companies have to cope with the rapidly spreading mobile malware epidemic. He said that contributing to the spread of the epidemic is the rapidly increasing amount of downloads of unknown or untrusted apps and the growing popularity of mobile payments. Merging the Webroot and Cellebrite software will mean that service suppliers can proactively identify and fix security threats and performance problems on their customer's mobile device. Not only can they test dodgy files against Webroot's Malware database, the service can use Cellebrite's mobile device diagnostics solution to discover phone problems being caused by malware. Merkle said that the Webroot and Cellebrite service is the first multi-channel phone diagnostics solution provider to offer anti-malware detection and removal to mobile carriers and retailers.